Messengers for Liberty went out to make a video of what happened at the Nashville #NoWarWithSyria Rally on August 31st. 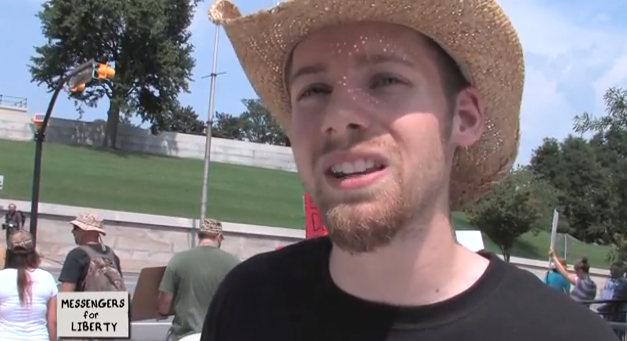 They got footage of speakers and short, powerful interviews with the rally's participants. Take a look and tell us your favorite speaker, quote, or moment from the video. My favorite was at the very beginning when the speaker said, "I looked on the CDC website, but I didn't see that tomahawk missiles are an approved treatment to help chemical weapons victims recover. We're not helping any children by bombing more children!" Happy Constitution Day: I'm Allowed to Rob You!